In this day and age, it would be impossible to find one vehicle that is able to fit the needs of every different kind of Mid-Missouri driver. 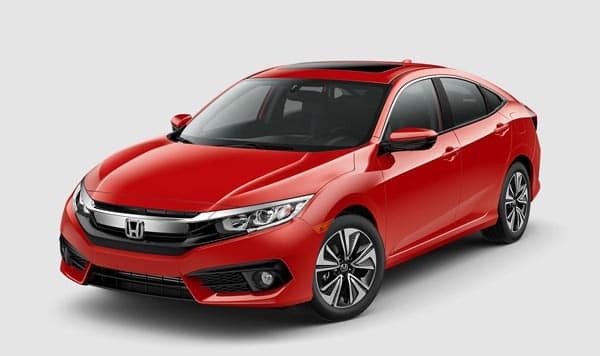 This is why the 2018 Honda Civic Sedan gives drivers the ability to select among five different trim levels until they find the one that works best. Each of these trim levels provides something unique whether it’s engine options, advanced tech, enhanced comfort, or something more. See what each trim has in store below. So far, we’ve only managed to provide you with a short glimpse into what you can expect from each trim level of the 2018 Honda Civic Sedan. While this has been a great starting point, there’s still so much to learn about this ever-popular vehicle. Stop in at your local Mid-Missouri Honda Dealer to set up a test drive today and experience the 2018 Honda Civic Sedan for yourself. You can also reach us online, where we will happily answer questions regarding financing or current offers.